Pictured here is Craig with one of the most creative guitarists out there. His name is Mattias IA Eklundh from the Swedish band "Freak Kitchen." He also does solo albums under the name "Freak Guitar." 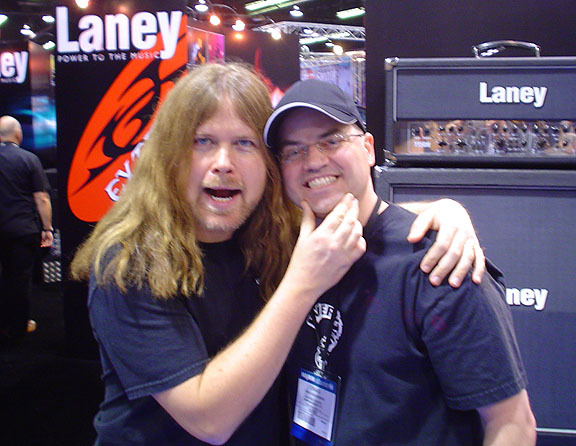 This picture was taken in Anaheim, CA at the 2006 NAMM Show. Thanks to Krister Pihl for introducing me to Mattias' music.